wordware provides best School Lunch Software for all kind of schools. Schoolchildren in Haryana, India eat rice and kadhi, a curry made with onions, garlic, yogurt and fritters made with chick pea flour. One day earlier this summer, I visited a government school in a village called Dujana, in the state of Haryana. During the lunch break, little, skinny girls dressed in blue and white checkered kurtas (tunics) and navy blue shalwars (loose cotton pants) stepped out of their classrooms and headed straight toward a line of empty, dilapidated looking rooms at the far end of the school compound. There, in front of the rooms sat two women with a giant vat of steaming hot khichdi, a dish made of rice mixed, lentils and vegetables. The girls lined up in front of the women with empty lunch boxes in hand. One by one, the two women doled out a ladle full of the freshly cooked khichdi to each girl. The girls returned to their classes to eat their free lunch. This was my first time witnessing India’s mid-day meal program in action. I was touched by the sight. There’s something about the sight of emaciated children eating hot, freshly cooked food that they wouldn’t otherwise get that doesn’t allow you to be the detached, distant observer that we journalists often are. But it wasn’t until I ventured deeper into the state of Haryana, into one of its hunger-stricken areas, that I really understood the program’s impact on children. As I describe in this story, in a village in the district of Bhiwani, most children go to school having eaten just a left over piece of bread and tea, or baasi roti aur chai, as mothers in the village would put it. Most families can’t afford vegetables or lentils or eggs. As a journalist writing about health and development, I knew how widespread hunger and malnutrition still are in my country. But I’d never witnessed what that looks like for real people until I started reporting this series. And it was this project that helped me understand how a relatively simple idea of one freshly cooked meal a day benefits India’s millions of poor children. Food rights activists and economists I spoke to while reporting this series, told me of places elsewhere in the country where children go to school on an empty stomach. The mid-day meal is their first meal of the day and their only regular source of vegetables and lentils, and in some states with better lunch menus, eggs. “There are about seven-eight states that now give eggs in the school meal,” says Dipa Sinha, an economist and researcher at the Center for Equity Studies, a New Delhi based non-profit. She is also an activist for India’s Right to Food Campaign. Sinha told me about one of her own visits to audit a government school in the southern state of Andhra Pradesh to see how well the school lunch program was working. The state had recently started offering eggs in their school lunches. Now, remember India has the highest rate of child malnutrition in the world. According to The World Bank, rates of child malnutrition are five times higher than in China and two times higher than rates in Sub-Saharan Africa. And the undernourishment usually sets in pretty early, within the first three years of a child’s life. Whether the lunch program can alleviate the effects of early childhood malnutrition with just one free meal a day is poorly understood — although one recent study suggests it does. But what is no longer debated today is that the mid-day meal program rescues children from dire hunger and improves their diets. This isn’t to say that the school lunch program has no shortcomings. In fact, the program is riddled with problems, and how well the program works varies from state to state. Every now and then one reads about incidents of food poisoning through the school meal. The worst of those cases occurred last year, in the state of Bihar, when 23 children died and more were hospitalized, after eating a lunch that was contaminated with pesticides. Another incident occurred just earlier this week in New Delhi, but thankfully the children are safe. The case is still under investigation. What these incidents illustrate is a glaring lack of monitoring and accountability. 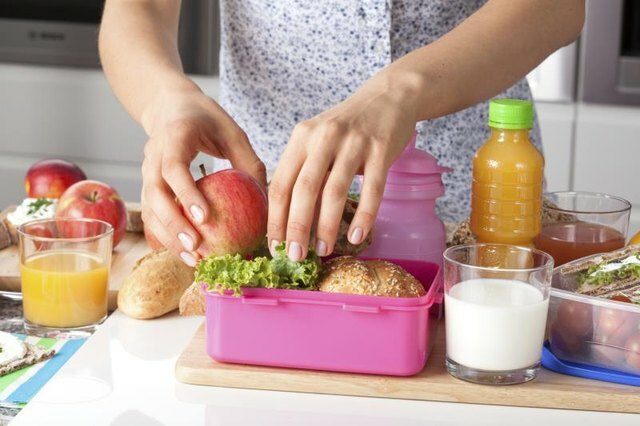 In the state of Tamil Nadu, which has the longest standing school lunch program, the state employs a “noon meal organizer,” for every three schools in a district. The organizer’s job is to make sure everything runs smoothly. In other states, the job falls in the laps of already overburdened teachers who aren’t compensated for the extra work required to implement this program. As a result, there’s very little supervision and monitoring and no way to hold someone accountable when problems occur. But as I wrap up my work on this series, I am left feeling an immense sense of awe. I’m in awe that in a country as vast and diverse as India, where everything is slowed down by red tape and corruption, the mid-day meal program has more or less succeeded in what it set out to do: improve child nutrition and increase school enrollment and attendance. After all, it is the world’s largest school lunch program and feeds 120 million of the country’s poorest children. Rhitu Chatterjee’s Mid-Day Meal reports were produced with help from the Pulitzer Center on Crisis Reporting. Wordware, Inc. announced that the company has entered into an exclusive partnership with FEEZEE for proving online payment options to its clients in global market. Wordware’s robust, reliable, and feature-rich School Lunch Software Mayflower LCS1000. FEEZEE is an integrated software platform that manages online payment features in many ways, its single high-security platform for any kind of business. FEEZEE allows end-users to control, manage, monitor, pay safely, prevent unwanted access, maintain compliance, and provide a robust audit trail. Secure payment processing on any device from a leading credit card payment processor. Wordware’s School Lunch Software Mayflower LCS1000 are designed to integrate seamlessly with current systems, ensuring that existing credentials, readers, and user databases can be retained. The Wordware DataBridge is designed integrate data across multiple software applications within a School District. Our Databridge allows software applications to send information back and forth. The DataBridge allows each of these programs or portals to send information back and forth. With the DataBridge, a school does not need to maintain multiple databases of the same student list, they can maintain one and sync the rest with databridge. “Wordware is excited to announce our partnership with FEEZEE, our exclusive online payment partner for School Lunch Software Solutions all over country,” said Manager “We truly appreciate FEEZEE’s expertise and are eager to support their growing channel partner network. FEEZEE’s solutions, local knowledge, and experience complement our physical access product offerings for the market. Wordware, Inc., founded in 1983 and headquartered in Mendota Heights, MN, provides software applications for cafeteria sector. Wordware’s LCS mayflower system is expandable to concessions, school store and could be integrated with Student information system, which makes perfect advance solution for your school. Wordware Inc, is the market leader in online Lunch payment system, most of the schools saves time and money using our unique and techno advance Lunch payment application software. Lunch system makes your school to monitor money administration easier and will reduce time spent on managing the school meal service. Wordware Inc, Lunch payment system is a simple and secure way for schools to connect, transact and manage all their school payments solutions. FEEZEE is an easy to use payment processing solution that allows you to process credit cards, debit cards and ACH transactions with a simple interface launched right from your web site. FEEZEE does all the heavy lifting of payment processing so you can focus on the things you need to do to make your business successful. Don’t get bogged down with setting up merchant accounts, creating reports and managing software, let FEEZEE handle it and start accepting online payments today.